Lovely story at so many levels. Second chances are always there. Take them. Thank you, Glenn Lim for the story and being a “Second-chancer” yourself. 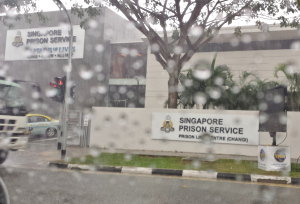 I was on my way to Singapore Changi Prison for one of my usual training programs. There was heavy lunch-time traffic, and a sudden downpour ensued just as I was turning into the Prison Link Center (visitor holding center). I noticed an old MakCik (Malay auntie) standing on the main road kerb outside the center, obviously waiting for a taxi. She was already beginning to be soaked by the rain, and was looking frail and weak. I couldn’t just ignore her. So I drove up to her instead of going straight into the prison compound. I asked her to get in so I could drive her to the nearest MRT Station (which was quite a distance away). She looked like in her 60s, and was visibly grateful as she hobbled into my car.